This pillow is bound to grab some attention in any room. 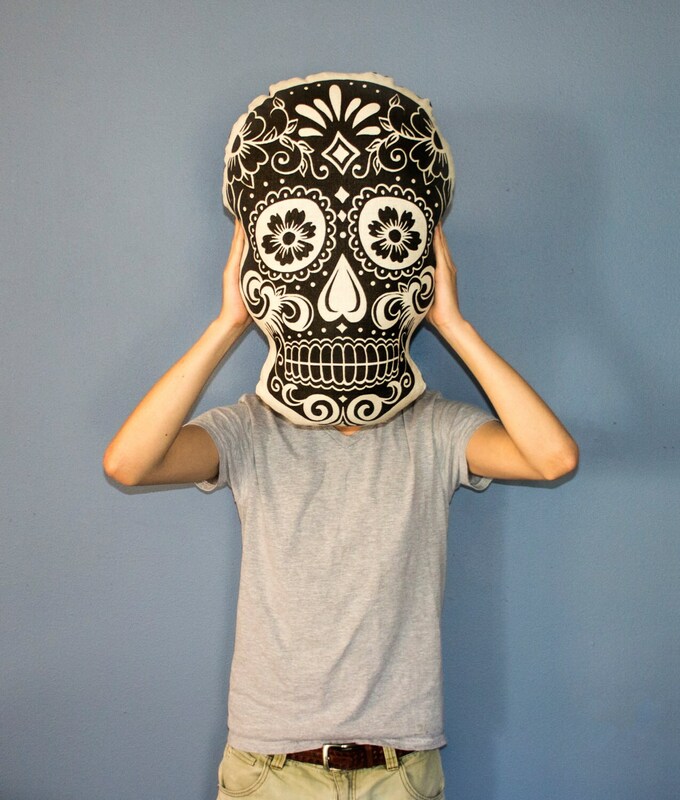 We are so excited to offer this sugar skull pillow. Perfect for Day of the Dead. *Measures approximately 20"x12"x8", but can vary as each is pillow is handmade.